Eli Lilly will use NextCure’s Functional, Integrated, NextCure Discovery in Immuno Oncology (FIND-IO™) platform to discover and develop cancer targets for new immuno-oncology therapies, the companies said, through a collaboration set to generate more than $40 million for the Beltsville, MD, cancer drug developer. FIND-IO is designed to identify novel cell surface molecular interactions that drive functional immune responses in the tumor microenvironment and other disease sites. NextCure has used FIND-IO to discover, validate, and build a proprietary pipeline of immune-oncology candidates. The company’s lead candidate, NC318, is a Siglec-15 (S15) antibody—a first-in-class solid-tumor immunotherapeutic designed to fight S15, a novel immunomodulatory target expressed on a restricted set of myeloid cells in the tumor microenvironment and on certain tumor types including lung, ovarian, and head and neck cancers. On October 23, NextCure said it launched a Phase I/II trial (NCT03665285) designed to assess the safety and tolerability of NC318 as a possible treatment for advanced or metastatic solid tumors, including head and neck squamous cell carcinoma, non-small cell lung cancer, and ovarian cancer. An estimated 110 participants are set to be enrolled. NextCure’s pipeline includes NC410, a novel immunotherapeutic against solid and blood-related tumors, and multiple undisclosed programs. NC410 is designed to block an immune regulator expressed on T cells and suppressive antigen-presenting cell populations, including dendritic cell subpopulations. 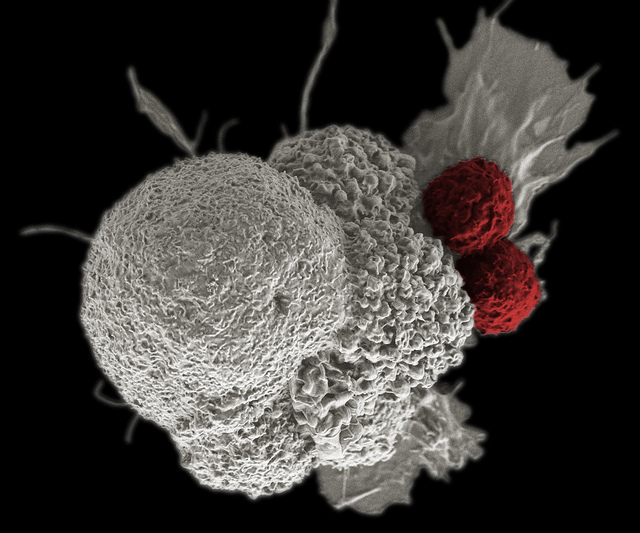 “Through this collaboration, we hope to leverage NextCure’s discovery platform to expand the reach of this class of groundbreaking treatments by identifying novel cancer targets that could enable the development of a new generation of immuno-oncology therapies,” Greg Plowman, M.D., Ph.D., VP of oncology research at Lilly, said in a statement. Lilly agreed to pay NextCure $25 million upfront, as well as make a $15 million equity investment in the cancer drug developer. Lilly and NextCure will each receive options to exclusively license antibodies resulting from the collaboration. Lilly said the deal would not affect its 2018 non-GAAP earnings per share guidance to investors—which Lilly raised today to between $5.55 and $5.60, up from $5.40 to $5.50 as of the second quarter, and between $4.81 to $4.91 as of January 31 when the company reported fourth-quarter 2017 results. NextCure was founded in 2015 by immuno-oncology pioneer Lieping Chen, M.D., Ph.D., the discoverer of the PD-1/PD-L1 pathway as a target for cancer immunotherapy; and Michael Richman, the company’s president and CEO, and the former CEO of Amplimmune. “Partnering with Lilly, a world leader in drug development, to advance the next-generation immuno-oncology therapies is an important validation of our FIND-IO discovery platform and our approach to discovering and developing immunomedicines,” Richman added. Dr. Chen is now co-director of the Cancer Immunology Program at Yale Cancer Center, and the United Technologies Corporation professor in cancer research and professor of immunobiology, dermatology and medicine (medical oncology) at Yale University. The company emerged from stealth mode in 2016 when it raised $67 million in Series A financing from major investors that included Lilly Asia Ventures as well as Canaan Partners, OrbiMed Advisors, Pfizer, and Sofinnova Ventures, joined by Alexandria Venture Investments. Lilly disclosed its collaboration with NextCure yesterday, a day before it reported third-quarter net income that more-than-doubled year-over-year, to about $1.15 billion from $555.6 million, on revenue that rose 7% from Q3 2017, to $6.062 billion. The pharma giant today credited the results to increased sales for its newer therapies, plus “prudent” expense management. The NextCure collaboration is Lilly’s latest move toward building up its immuno-oncology pipeline, which the pharma giant committed to overhauling last year. On June 22, Lilly completed its approximately $1.6 billion acquisition of Armo BioSciences, announced May 10—a deal that gave the buyer a Phase III pancreatic cancer candidate that is also being developed to treat other solid tumors. Lilly’s purchase of Armo was large enough to be ranked by GEN among the Top 10 M&A (mergers-and-acquisitions) Deals of January-June 2018. On April 30, Lilly announced the appointment of Leena Gandhi, M.D., Ph.D., to lead Lilly Oncology’s immuno-oncology development efforts, effective June 25. Dr. Gandhi is now director of thoracic medical oncology and an associate professor of medicine at New York University (NYU) School of Medicine. Earlier this year, Lilly launched the breast cancer treatment VerzenioTM (abemaciclib) following FDA approval. Verzenio is indicated in combination with an aromatase inhibitor as initial endocrine-based therapy to treat postmenopausal women with hormone receptor-positive (HR+), human epidermal growth factor receptor 2-negative (HER2–) advanced, or metastatic breast cancer. During the third quarter, the drug won approvals from regulators in Europe (under the name Verzenios™) and in Japan. Verzenio generated $84.5 million in revenue during the third quarter, nearly half the $171.9 million racked up for the first three quarters of this year.